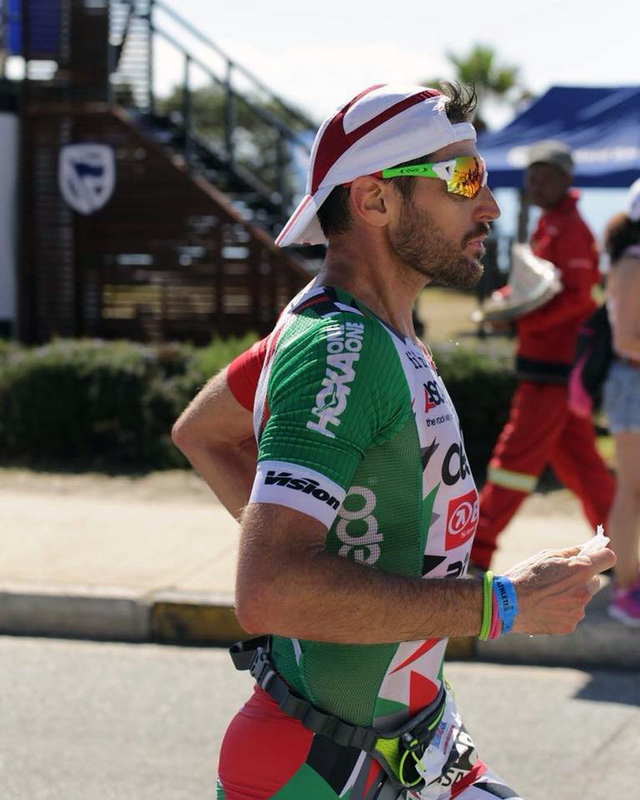 The last participation at Ironman South Africa for Alessandro Degasperi was two years ago. He was obtained the 7th place as well yesterday after an epic race (and unfortunate event). Dega has improved his personal race time (8:25:08) than 2016, obtained the best marathon time in the final top 10 (2:48:34). It was a good race for Dega even considering his personal unfortunate event in the first part of the bike course, when the water bottle with carbo gels broke off his bike after 90k when he was in the first bike group (Alessandro was out of swim in 2nd position). But “Dega” is a great champion who learned to manage all difficult situations during a tri race, without ever losing clarity of though and his personal goal. So, he has changed nutritional strategy and priorities during the race with the only goal to replenish the food supplies for the last part of the race. Anyhow, Degasperi was out of T2 in 10th position and he tried to make the best in the marathon (his favorite part) as always, obtained the best time in the final top 10! Furthermore, start list was one of the most competitive in the IM (then Kona): Cameron Wurf, Ronnie Schildknecht, Maurice Clavel, Matt Trautman, Josh Amberger, Kyle Buckingham, Eneko Llanos e Ben Hoffman, to name but someone.